School counselors work with students to address an array of issues, offering everything from academic support to college and career counseling, as well as personal counseling. As detailed in an article published by online resource Good Therapy, school counselors can be found at every level of pre-college schooling, from kindergarten through 12th grade. To work as a school counselor, candidates must have at least a master’s degree in counseling, with the article noting that many school counselors also have a Ph.D.
Another study from Lapan, Gysbers and Sun, published in 2001 in the Journal of Counseling and Development, noted that middle schools with more developed counseling programs observed similar positive outcomes among their student bodies. The study surveyed almost 23,000 middle school students. Those individuals attending schools with strong counseling programs reported a higher level of academic achievement; a greater sense of happiness, safety and security at their institution; and fewer problems with socializing and interpersonal relationships. An analysis authored by researchers S.C. Whiston and R.F. Quiby, cited in the Textbook of Psychopharmacology in 2009, examined 117 studies involving counseling interventions in a school setting. The study authors found that counseling interventions have a positive effect on students by a measurement of .30. For comparison, the authors explained that taking aspirin to reduce the chances of a heart attack has an effect size of .06. According to an article from the American School Counselor Association, a 2013 study from authors K. Wilkerson, R. Perusse and A. Hughes found that elementary school students tend to perform better academically when there are counseling programs in place. It follows from the above studies that counseling can have a tangible positive impact on student outcomes in a number of areas. As reported by another article from the American Counseling Association, given the link between academic success and the range of services offered by school counselors, the Institute of Medicine has advised that school counselors offer services to all students and that such services become mandatory across educational institutions. Many school counselors will help students with the college application process, or if college is not a viable option for a student, school counselors can offer career counseling. In addition to practical assistance with application forms and admissions essays, counselors also can provide emotional support throughout, what is for many students, a stressful time. Kathleen Smith, writing in an article published by Counseling Today, held a discussion with Janel Young, a high school counselor from Maryland, who elaborated that many students at her school will turn to her for counseling with the college admissions process. Students seek her assistance, instead of the school career advisor, due to the strong bonds she has cultivated with them throughout their academic career. Young elaborated that stress for high school students during this period can be engendered by the pressure not only to find the best fit in terms of institution but also to secure a scholarship or other means of funding, in an age when the cost of tuition has reached unprecedented levels. According to an article published by the American Counseling Association, a number of studies have shown that students tend to perform better academically when there are strong counseling programs in place at their school. For example, the article cited the aforementioned 1997 study from Lapan, Gysbers and Sun, which found that high school students tend to achieve higher GPAs at schools with better counseling resources. Another study, from authors Greg A. Brigman, Linda D. Webb and Chari Campbell, found that elementary and middle school students earn higher test scores in reading and math if they participate in counseling programs that address basic skills for succeeding as a student. 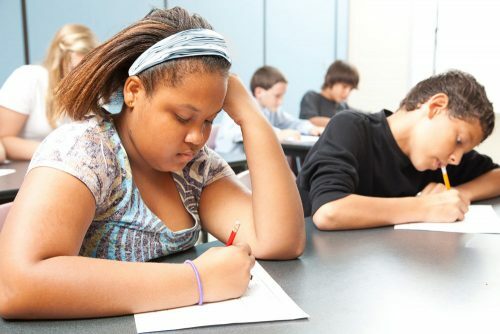 The link between counseling and academic achievement likely can be attributed to the fact that counselors in school settings often work with students to improve study habits and become more organized when working toward and meeting academic goals, an article published by trusted counseling resource Good Therapy explained. Furthermore, an article published by the American Counseling Association stated that counseling strategies also can help reduce classroom disruptions — improving teaching quality— as well as help mitigate student anxiety surrounding examinations and assignments. School counselors offer individual counseling to students for an array of personal or mental health related issues, journalist Alexandra Pannoni wrote in an article for U.S. News & World Report. Pannoni interviewed Tawnya Pringle, a high school counselor from California. Pringle explained that school counselors, while offering help and guidance for a range of issues, including stress, bullying, home life problems and more, are unable to offer therapy: “Sometimes there’s a myth that we do therapy in schools, and that’s not it.” School counselors are qualified, however, to recognize potential mental health problems and suggest referrals to qualified therapists, if necessary. School counselors can play an active role in helping students navigate potentially significant mental health issues. An article from the American Counseling Association cited an article from R. Jones published in the American School Board Journal that found that the work of school counselors has been shown to reduce the likelihood of suicide among student populations. According to Jones, this outcome is achieved through working closely with the parents of at-risk youth, as well as via special educational programs that can be implemented for preventative reasons. The programs focus on the effects of mental illness and the risk of suicide as a possible consequence. As Pringle stated, however, school counselors only are able to offer confidential help to students if their lives are not at risk. In instances when counselors feel that a student is a danger to him or herself, or others, they are obligated to inform parents and in some cases the authorities. If you want to make a positive impact and help students with a variety of issues, consider a career as a professional school counselor. An effective first step toward that career goal is an application to Bradley University’s online Master of Arts in Counseling – Professional School Counseling program. Designed to help you study at a time and pace that best complements your busy professional schedule, the online program is led by a team of dedicated, supportive faculty. The online program allows you to complete practicum and internships at locations close to home, and you will be able to select your supervisor with approval from the university. To learn more, click here.